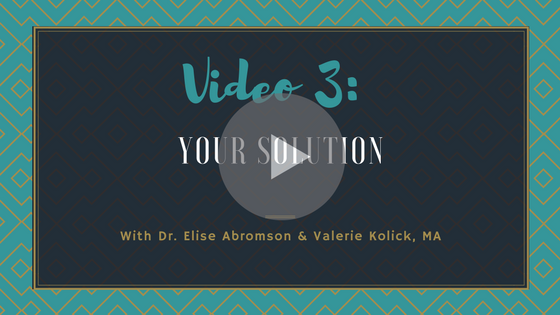 Blueprint Videos — Valerie Kolick, M.A. VIDEO 1: DISCOVER YOUR WHY? The Overview of the 6-Step Blueprint for Creating Your Ultimate Life so that you can find peace & true happiness. Click here to grab your Step-By-Step Guide to help you get clear on your values and your "Why". This is the first step in the Blueprint! The exact formula for finding happiness, peace & balance in your life. The D.I.G. Method for creating more balance in your life today! The Three Ts formula for removing 'mom-guilt' & gain focus! How to overcome the Top 5 Fears in your life - so that you can reach your full potential! The one thing you can do right now for more fulfilling relationships & self-confidence. The 3 questions you MUST ask yourself before creating any goal. Why accountability & support are key to your success. Details on how you can be part of the Blueprint To Your Ultimate Life course. How to have full-access to top experts in helping you find happiness & peace! The reason it's time to take action ASAP!